This Spring, PRISM received two bronze Telly Awards for our video promoting the Global Business and Analytics Complex (GBAC). The Telly Awards honor outstanding local, regional, and cable TV commercials and programs, video and film productions, and online commercials, video, and films. 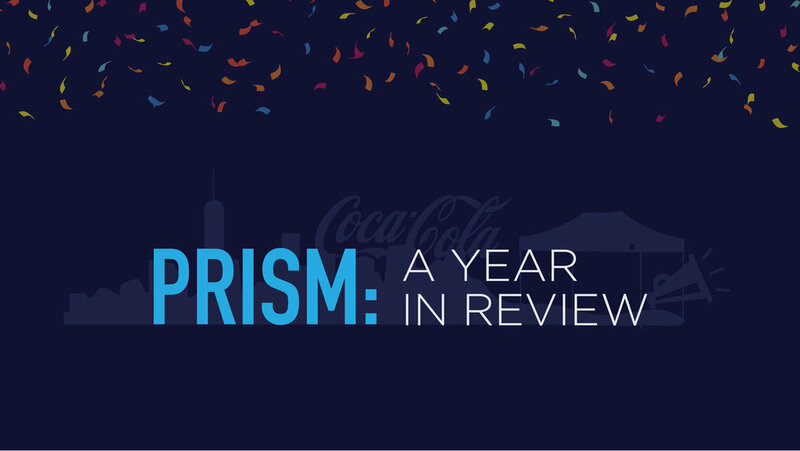 The seventh-annual PRISMite New York Trip was a success yet again. With six company visits and a lively alumni dinner, PRISMites were able to network and learn more about the advertising industry. The New York Trip also marked the premiere of our new reel, created by our talented videography team. In 2017, PRISM has brought on three new clients. FutureHAUS, the only U.S. team competing in the Solar Decathlon Middle East, was an exciting opportunity from the start. PRISM manages all of their social media and successfully raised $10,000 for the “Power Our HAUS” crowdfunding campaign. After the campaign, PRISM planned an event, Lights on at the LumenHAUS, celebrating the successful crowdfunding efforts. 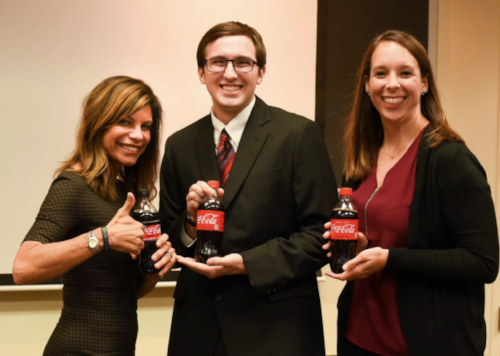 Our newest clients include Coca-Cola: Barracuda Bowl and Unirel. Both clients are relatively recent, so teams are still forming for these accounts. We are excited to see what work we accomplish with these accounts in 2018! Our fall recruitment was the most successful round of recruitment so far. More than 130 students applied for only a select number of spots. After vigorous rounds of application review and interviews, 21 new PRISMites were selected. These students are currently working on a project creating a social media campaign for the PRISM account. We are so excited to see what they accomplish! 2017 was definitely a year for the books. PRISM is excited for the new year and all the opportunities it will bring!